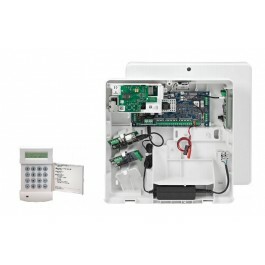 Galaxy Flex 20 is a feature packed integrated intruder and access control security solution for small systems up to 20 zones that require Security Grade 2 compliance. This hybrid panel, based on a modular design, brings a new level of ease of installation and use that allows installers the flexibility to meet specific customer needs. With optional communications and radio modules mounted inside the panel, this panel can literally be installed within minutes!